Home. A word that likely brings feelings of comfort and pleasant memories to mind. Proper updating and maintenance is required to keep your home functioning correctly and serving you well over the years. There are several concerns, which left unattended could cause serious damage both to your home and to your health. Below are the 5 most dangerous hazards to be aware of. 1. Radon is a colorless, odorless gas that can seep into a home from the surrounding soil. It is such a powerful force that it is thought to be the second most common cause of lung cancer. What to look for: Basements and any other spaces that protrude into the ground offer entry points for radon. The Environmental Protection Agency provides a map of high prevalence areas for radon to use as a guideline. This map should not be used in lieu of a radon test, however. A test performed by a home inspector will accurately determine whether the levels of radon in a home are healthy. Asbestos was once a popular building material because of the insulation and fire resistance it provides. The use of asbestos was banned in 1985 after it was discovered to cause serious illness if released into the air. 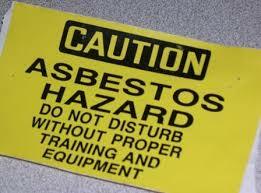 If breathed in, asbestos is now known to cause various severe lung problems from cancer to mesothelioma. It may still be found in older home's insulation, floor tiles, roof coverings and siding and must be removed with extreme caution. What to look for: Homes built prior to 1985 are at risk of containing asbestos. Owners of such homes should be especially cautious if remodeling as disturbing older building materials could cause the asbestos to become airborne making it a serious health threat. Lead is a toxic metal which for many years was used in home products from paint to pipes. It can also be found in dust or soil surrounding homes. Lead is especially different for unborn and young children as they are more susceptible to absorbing the metal into their bodies. Once inside, lead damages red blood cells and interferes with bones' ability to absorb calcium. What to look for: Homes built prior to 1978 may contain lead paint or leaded pipes. To get a HUD-insured loan, buyers must show a certificate that the home built before 1978 is lead safe. Hazardous Products, such as paint solvents, pesticides, fertilizers or motor oils can create dangerous situations if not stored correctly or disposed of entirely. They can cause fires, illness or even death if accidentally ingested. What to look for: Make sure that these items are stored and sealed properly. Do not stack together in corners, crawl spaces, garages or garden sheds. Home owners often forget that they have these items on hand, and if you're selling your home, the new buyers will not want to be responsible for disposal. When it comes time to remove the products, make sure to research how to properly dispose of them; chemicals can be dangerous and should never be dumped onto the ground where they could seep into water sources and wreak havoc. Be sure to take the proper measures. Groundwater Contamination occurs as a result of hazardous chemicals seeping through soil and entering water supplies. A leaking underground oil tank or faulty septic system can contribute to this. Both should be inspected prior to purchasing a home. What to look for: Be on the lookout for any conditions that may be conducive to leakage. Homes near light industrial areas or facilities may be at risk. Also use caution in industrial turned residential areas as there may have been leaking or spilling in years past. Your Realtor and Home Inspector will be able to help you determine whether your area of interest was, or is, at risk for any contamination.